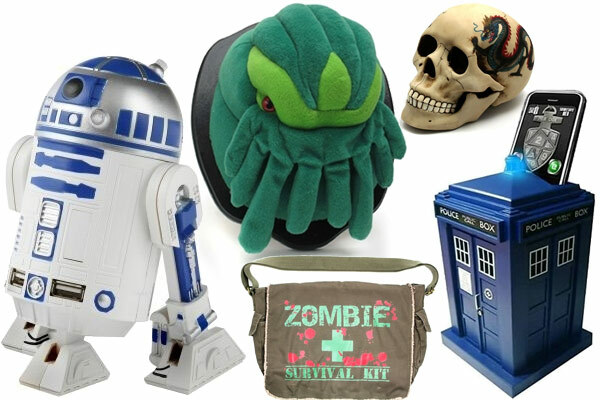 Want some of the cool items posted about on GeekAlerts, like the R2-D2 USB Hub, Tardis Smart Safe, or Cthulhu Plush Mounted Wall Trophy, but lack the cash? 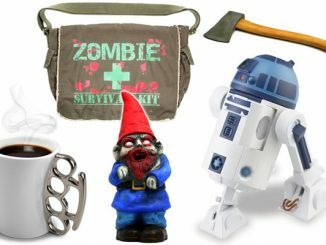 Now’s the chance to win them or other cool items of your choice in the GeekAlerts Awesome Products Giveaway. 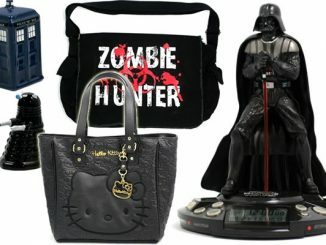 In this sweepstakes, the winner will be able to select their prize from any category at Neatoshop.com, so you can choose items like toys, electronics, t-shirts, and gadgets related to Star Wars, Star Trek, Dr. Who, Cthulhu, bacon, zombies, pirates, and more. You can pick your own prize if you win this giveaway. So to start things off, visit Neatoshop, pick at least one item you would like if you win, and post it as a comment to this page. Then use the Rafflecopter Giveaway form below to earn/activate your entries. This sweepstakes is open to everyone 18 years of age or older world-wide, and you can earn up to 8 entries. You must enter by October 30, 2012 12:01 AM EST. I want the Soft Kitty Plush Backpack. I would love it and hug it and call it Mimi. Awesome contest, I really hope I’ll win this one 😀 Thanks a lot guys. Whops, I forgot to mention what I’d like to win. The first thing that comes to mind is of course the R2-D2 USB-hub. You can never have too many ports, and why not do it with style? Besides that, I really like the [“hip”, “hip”] T-Shirt (Unisex Size S) and the Darth Vader “Join us or die” mug. That sums up my custom prizebag. 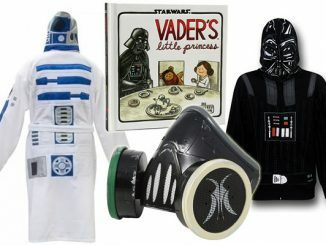 (Darth Vader – Star Wars Hooded Bath Robe)Please and thank you! 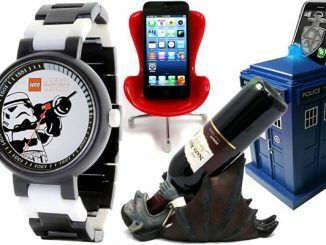 I would love the TARDIS USB hub, the Wicket hat & the Never Grow Up teeshirt! Neatoshop is so awesome, and these giveaways are always fun! 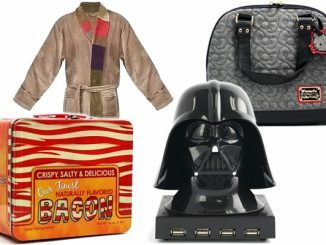 I would love to win the Darth Cookie Jar, R2-D2 USB Hub, LEGO Brick Luggage Tag or LEGO Brick Storage Carry Case! The Master’s Fob Watch – Doctor Who This would be EPIC to win. *gasp*! they have a soft kitty backpack! WANT! I would love the Cthulhu wall mount to add to my Cthulhu stuff but anything zombie or Cthulhu related would be awesome! 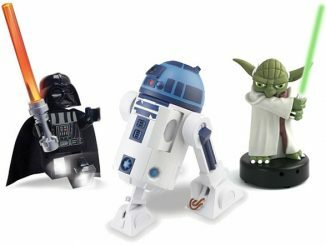 I would love the Santa Jack Figurine, the Lightsaber Room Light – Obi-Wan Kenobi (blue light) and the ZombiKeys – Key Covers. AT-AT Shoulder Bag and R2D2 Lunch box… I am sensing a theme here. Pyramid Scheme – Measuring Cups, LEGO Darth Vader Alarm Clock, and Skull with Dragon Tattoo – Money Bank would be my choices. I would have to indulge my little girl (who turns 8 Halloween Day) and buy her the Adventure Time Finn Backpack she’s been begging for, and the Furrybones Munky Plush. That skull with dragon tattoo money bank is pretty awesome. I’d definitely want that as one of my prizes! I’ve been looking forward to a Star Trek bathrobe and Han Solo in carbonite ice cube try. Star Wars Hooded Bath Robes are pretty sick, i would love one, so when i walk my dog and cars go by i could be the creeper! TARDIS safe is sure to protect my stuff against normal aliens, but what about The Master? Must have the Cthulhu Plush Mounted Wall Trophy to prove I do hunt the Old Ones. The Holy Hand Grenade of Antioch & The Killer Bunny Slippers would be great too. I would get a Tardis Smart Safe. Doctor Who TARDIS Bathrobe FTW! 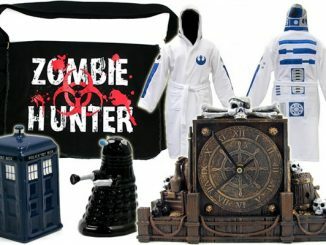 If not that then the Zombie Beanie or Zombie Survival Kit – Messenger Bag. I would love to win the Doctor Who Laplander TARDIS hat or the TARDIS smart safe. The Dr. Who scarf is perfect for a cosplay I wanna do. I NEED the Animal plush slippers. I want the batman zombie mask!!!!!!!!!! 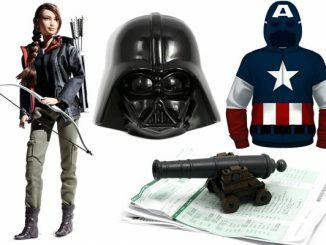 Ship Shape – Pencil Case, Iron Man – Bust Bank, and Captain America – Bust Bank please! The Hello Kitty Backpack with Ears – Leopard. I am still enamored with the AT-AT Super Deformed Plush! The wonderful Zombie Survival Kit would start off my day perfectly. Already have the R2-D2 USB hub, so how about the TARDIS (http://www.neatoshop.com/product/TARDIS-USB-Hub) instead!? Yay! Such a fun promo!! The Dragon Giant Plush looks pretty awesome. Sally Face Pillow! So cute. I must have the Doctor Who Scarf! Love the When The Going Gets Tough t shirt. I love the tardis smart safe. Babies are the worst singers. I need to win the Zombie Survival Kit. Too many zombies walking about in my hood. Never Argue with Idiots , tee shirt. I love all of the knee high socks! And the Hello Kitty backpacks and bags :D. $80 just flew by! The Zombie Feet Sandels would be one of my choices! I want a Green Rose Chafer Beetle Computer Mouse. ohhhh, I want to win Hello Kitty ANYTHING! Oh,yes, my daughter would love the Star Wars AT-AT bookends. Or anything Boba Fett. I love the Lightsaber Room Light (Multicolor/Remote Control)! 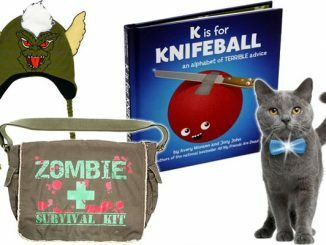 I love the Zombie Survival Kit Messenger Bag! 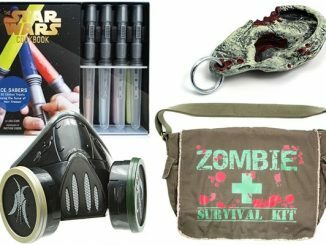 We have been putting together a zombie survival kit for our daughter for Xmas, this bag would be perfect to give it to her in! I like the growlin’ dragon stompeez kids slippers. The Batman Robot – Vinyl Invaders is cool. I would love the Cocktail Chemistry Set. I kind of adore the TARDIS hat. I love the Future Sonic Screwdriver! Jedi – Star Wars Hooded Bathrobe! I love the Doomed Crystal Skull Shot Glass. I love the Hello Kitty cake pan for my sister. The Edgar Allan Poet Magnetic Poetry is neat. I want the Dalek Factory construction set… Dalek legos! There are so many cool items that it’s really hard to choose, but I really love the Zombies Love Nerds – They Have Bigger Brains t-shirt! There’s too much awesome zombie stuff for me to pass this up. My son would love the R2-D2 USB Hub! He’s a star wars geek!! 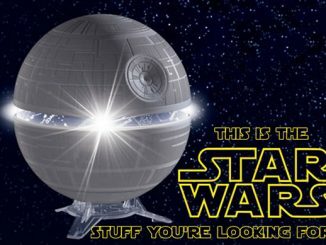 The starwars things are great. I would love the Tardis Smart Safe. I could really use it to save my coin collection, especially when the Dalek’s come to get them. The TARDIS Hooded Bathrobe would be a frontrunner for sure! I love this shop. It was hard to pick one but this is the one I want, Pac-Man IR Racers. They are so cool! R2-D2 USB Hub is awesome! I like the Hello Kitty Polka Dot Mugs Gift Set . I love the Zombie Survival Kit. Winner will be chosen shortly and posted. Thanks for the followup and remember to enter our newest contest.